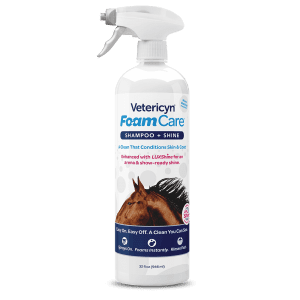 Vetericyn FoamCare® Equine Shampoo makes time at the wash rack fast and healthy. It delivers nutrients vital to your horse’s skin while providing a conditioning, show-worthy shine. 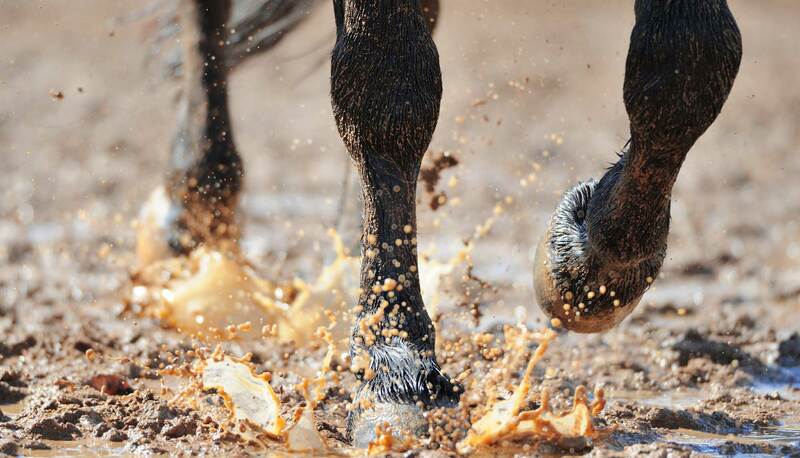 Use the trigger system to spray FoamCare directly on your wet horse and you’re ready for a clean that’s deep-conditioning, stress-free, and fast. FoamCare instantly foams up to clean and condition your horse. As you lather, our unique foaming action delivers nutrients vital to your horse’s skin while giving the coat a deep-conditioning clean and shine. It even enhances your horse’s own immune system against dermatological disorders. 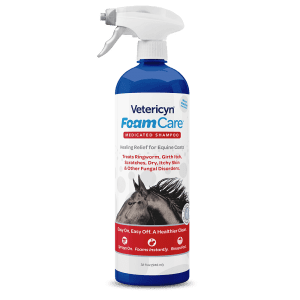 Because FoamCare is optimized for equine coats, it rinses easily. This saves you time at the wash rack and leaves your horse with healthy skin and a clean, arena-ready shine. Whether you need a daily conditioning shampoo or a medicated shampoo, FoamCare’s easy-to-use trigger system and natural, healing ingredients will nourish your horse’s skin and coat and leave a show-worthy shine.